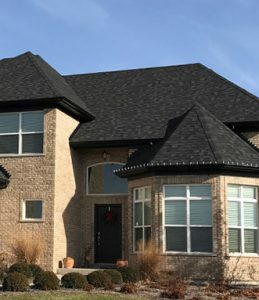 Roofing and Roofing Repair North Aurora, IL - M. Pierce Roofing Inc. Roofing and Roofing Repair North Aurora, IL - M. Pierce Roofing Inc.
M. Pierce Roofing specializes in roofing and roofing repair for North Aurora, IL. Our tradesmen provide superb service and products for both repairs and improvements to your home, office or multi-unit project. Our extensive background in supply and installation equips us to know which products will serve you best and how to implement them. We repair interiors damaged by water infiltration in North Aurora as well. Contact us at (630) 538-1523 to tell us more about the repair or improvement you need for your home or business. We offer a special customer-referral gift-card program as well – be sure to ask us about it! Contact us at (630) 538-1523 for more information about our roofing and roofing repair for North Aurora, IL. At your request, we can assign an M. Pierce representative to visit your property to provide an assessment and a no-obligation estimate. M. Pierce Roofing offers much more than roofing and roofing repair for North Aurora. We also install vinyl siding, aluminum siding, and James Hardie® and LP® SmartSide® composite siding and cedar for your home or business. 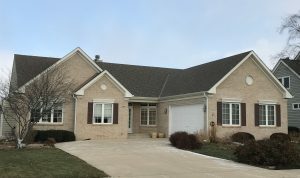 Contact us at (630) 538-1523 to discuss our products and services beyond roofing and roofing repair for North Aurora, IL. If a strong storm sweeps through North Aurora, out-of-state ‘storm chasers’ may knock on your door to offer a free post-storm inspection. Their aim is to have you contract with them to repair any damage to your home or business. These companies will then use local contractors for the repair work. Once the work is done, they will concentrate on the next location affected by a storm. Should any warranty issues with the repair work arise, you might be stuck with them because the coordinating company has already moved on. As storm damage restoration specialists for North Aurora, M. Pierce Roofing offers local support and service that stay local. If your home or business is faced with any damage or warranty complications, we will be there for you to assist and follow up. Our storm damage restoration for North Aurora includes wind, hail, lightning, water damage and damage from trees. Contact us at (630) 538-1523 if you see or believe that a recent storm has damaged your home or business. Company principal Mike Pierce began working for his father’s roofing company while still in high school. Performing every project from clean-up to roof installation and exterior repairs, he learned the trade inside and out – both what works and what doesn’t. He later gained valuable experience in building-materials distribution through sales and ordering duties and became educated in safety as well. He went on to further develop the company, understanding that its strength would rely on the sum of its staff and the relationship between personnel and management. M. Pierce Roofing exists to provide you with premium workmanship at a fair price for your next home, office or multi unit–property project. Call us at (630) 538-1523 to discuss your roofing repair or improvement in North Aurora, IL.